The weekend has a pencil thin mustache. Having 160 different types of ice cream at your fingertips is a miraculous proposition. But having 161 is even... miraculous-er. Jake’s Ice Cream just rolled out their new Honey Fig and Cabernet cream, made by marinating handpicked brown turkey figs in lime, local honey and yes—plenty of red wine. Which happens to pair well with waffle cones. Turns out, it’s Independent Film Month. And to help you celebrate this momentous occasion, we’d like to direct your attention to an endless stream of parties and festivals being held throughout the city. We hear the CinErotic Films are Oscar-worthy this year. Well, every year, for that matter. It’s no secret... Dalí knew how to party. So this Saturday, you may want to consider joining him at the High Museum’s Surreal Soiree, the official kickoff for the new exhibit. In the true spirit of Dalían excess, there’ll be a DJ, plenty of Spanish tapas and, of course, all the Dirty Dalí-tinis you can handle. Don’t do anything Dalí’s mustache wouldn’t do. You’ve thrown the dice in Monaco, and had your way with the tables in Vegas. But now the stakes are about to get higher. Yes, we’re talking about brunch. This weekend at Pacci, order from a special breakfast menu (think ricotta pancakes with banana syrup), and at meal’s-end your server will flip a coin to determine whether or not you’ll be paying for it. We like your odds. So there’s some changes happening at Farm Burger. Don’t worry, your over-the-counter grass-fed deliciousness topped with pecan pesto and oxtail marmalade isn’t going anywhere. But next Friday, for one night only, your burger is being replaced with a five-course meal. 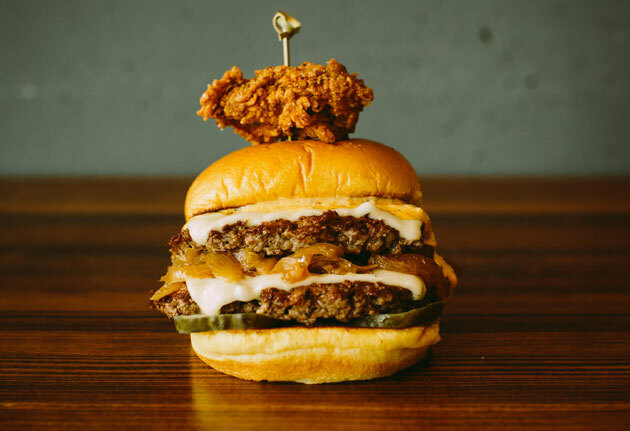 The menu is still being tweaked, but expect Southern-inspired variations on all things cow, chicken and pig. And beer.